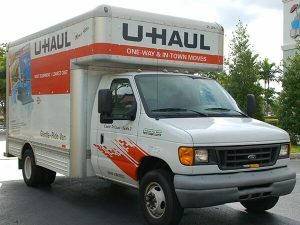 In Jensen, it was undisputed that Jensen’s boss (who was also the owner, CEO, CFO, Secretary and sole director of the company that employed Jensen) rented the U-Haul truck in question and signed the rental contract that contained the arbitration agreement. It was also undisputed that Jensen was driving the U-Haul truck in the course and scope of his duties as an employee when a tire blew and Jensen was injured. Finding none of these exceptions existed in Jensen’s case, the Court held that the Plaintiff was not bound by the arbitration agreement. So, while plaintiff’s employer is protected by Worker’s Compensation, it appears that U-Haul will be facing a jury. This entry was posted in Legal and tagged arbitration agreement, compel arbitration, employee not bound by arbitration, jensen v. u-haul, non-signatory, u-haul by ericpapp. Bookmark the permalink.